This article was written by Himanshu Raghuwanshi, a student of National Academy of Legal Studies and Research (NALSAR) University of Law, Hyderabad. The jettisoning of the minimum educational qualifications to contest Panchayat elections in Rajasthan is a welcome step. Such qualifications to contest elections are against the very spirit of democracy. The measure violates article 14 as there is no rational nexus between formal education and Panchayat management. The measure also contravenes Freedom to vote, which is regarded as a part of Article 19(1) (a); as it limits the choice the voters can exercise. While this measure is removed in Rajasthan it continues to exist in Haryana and the Supreme Court of India has upheld this legislation and declared it constitutionally valid. This article seeks to test the validity of the policy considering the responsibility of the Haryana government to provide education. By engaging in this discourse the article strives to show that the measure was unconstitutional or at least unjustified. An understanding of the extent and scope of the responsibility of the government to provide education is important to appreciate the whole argument. Perusal of the constitutional assembly debates is imperative to understand the immensity of the state’s responsibility to educate. Therefore this article first looks at the constitutional assembly debates. The first mention of the Right to Education and the corresponding duty of the state to provide primary education is found in the report of the Constituent Assembly Sub Committee on Fundamental Rights in the year 1947 when it was placed in the report on Fundamental Rights. However the status of Right to education as a fundamental right was short lived as the Advisory Committee of the Constituent Assembly put it in the category of the non-justiciable rights. The reason for doing so was that India did not have adequate funds to provide education to all. Though this clause was put in the category of non-justiciable fundamental rights but its language was such that it imposed an obligation on the State. Certain members of the constituent assembly wanted to make this right binding but the amendment for the same was not passed. The non-justiciable fundamental rights were renamed as Directive Principles of State Policy (DPSPs). While the demotion of Right to Education to DPSPs rendered it unenforceable in the court of law but the constituent assembly considered education as an important element for India’s development. An example of this is that Article 24 prohibits employment of children below the age of 14 years in factories, mines and other hazardous activities; Dr. Ambedkar in the constitutional assembly debates said that the purpose of Article 45 is not only to provide education but to keep children engaged so that they don’t end up in child labour. Thus framers of the Constitution had multiple reasons to provide education to the children, and these discussions clearly reflect their views on importance on education. Article 37 of the Constitution renders DPSPs unenforceable in the court of law but it also declares DPSPs ‘fundamental in governance of the country’ and mentions that the state is ‘duty bound to apply these principles in making laws.’ Thus it can be said that Article 45 imposes a duty on the state to provide elementary education to the people. A scholar has argued that obligations imposed by the DPSPs could be moral or political, but they are constitutional obligations. This non-justiciable constitutional obligation was converted into an enforceable obligation with the 86th amendment to the constitution in the year 2002. Article 21A was added in the list of Fundamental rights wherein the Right to Free and Compulsory education to all children between 6 to 14 years was assured. The government subsequently passed the Right of Children to Free and Compulsory Education Act 2009 (RTE) to provide a framework for fulfillment of this right. Section 6 of the act puts the onus on the appropriate government (in this case the state government) to build schools in necessary neighborhoods. Section 8 of the act puts the onus on the appropriate government to ensure compulsory admission, attendance and completion of elementary education. Hence now the government is under a statutory obligation to provide elementary education. Having established that the government initially had a constitutional obligation to provide elementary education which was subsequently in 2002 made enforceable, let’s study what the Haryana government did to fulfill its obligation. As per data according to a report by National University for Educational Planning and Administration Haryana has 22268 schools providing primary education. As per report sponsored by the Haryana government 44.8% of the government schools at primary level are not able to meet pupil-teacher ratio; at upper primary level 14.28% schools are not able to meet the pupil-teacher ratio proposed by RTE act. The ratio is more than 100:1 in 201 schools as against the recommended ratio of 30:1 and 35:1 under the RTE Act, in lower primary and upper primary schools, respectively. The infrastructure in schools is not bad but needs improvement. 9.3% schools at upper primary level do not have toilets for girls. 8.5% schools at upper primary level do not have access to electricity. The quality of education offered by the government run schools is even more deplorable. In class 8th 18.8 % of children cannot read simple English sentences, in class 3rd 13.9 % of students cannot even read simple words. In 8th class only 63.2% of students in rural areas can perform basic mathematical operations including division. 17.9% of the children in rural areas in class 8th cannot even perform basic subtraction. One of the chief reasons for such miserable quality of education is unavailability of or unqualified teachers. 13% of the teachers are higher secondary or less qualified, these teachers teach at primary to higher secondary levels. In a survey conducted by Centre for Research in Rural and Industrial Development (CRRID) in rural areas none of 20 surveyed schools (16 government schools and 4 private) had distinct subject wise teachers up to class 5th. There was no English teacher in the 16 government school surveyed and only one maths teacher was available in 16 schools. The statistics presented above clearly shows that the government has miserably failed to perform its constitutional and statutory obligation. The conspicuous failure of the government and its draconian measure that punishes people for its failure deserves attention. Citizens come together and surrender many of their natural rights to the state, which then has the duty to fulfill certain responsibilities. If the state fails in its duty then it cannot expect people to perform their basic duty, otherwise the principle of reciprocity gets defeated. This obviously means that the state cannot go a step further and punish people for its failure. In a democracy, it is expected that the government will fulfill its obligations and the citizens will obey the law. It is highly unjust on the part of the government to overlook its obligation of providing people necessary mechanism to attain the formal thresholds and on the top of that punishing people for not meeting those thresholds. Additionally, though the government has provided such mechanisms in some cases but they are utterly deplorable, thus providing no real benefit to the people. To supplement this view let us look at certain case laws. In the case of Ashoka Kumar Thakur vs. Union of India & Others, the Supreme Court made the following remarks: The 86th amendment added article 51A (k) along with article 21A. Though the government has not passed legislation to implement parental duty to provide compulsory education but reading article 51A (k) with 21A distributes the obligation to provide compulsory education between parents and State. The state has a role to play in ensuring compulsory education. The court while talking about making it compulsory to send children to schools noted that the government first has the duty to provide financial incentives to ensure that parents are not forced to send their children to work. A parallel logic that emanates from this observation of the court is that first the government must ensure that it fulfills its obligation to provide elementary education and that education must result in palpable learning for the child. Another important observation is from the Pakistani Supreme Court’s decision in 2008 where the court declared a similar legislation which mandated bachelors’ degree for contesting elections to National assembly of Pakistan unconstitutional. The court inter alia reasoned that the government has a duty under article 37 of the constitution of Pakistan (similar to DPSPs). The court further observed that the government has failed to perform its duty. Thus the government by this legislation is transferring the liability of the state on the citizens. Further even supposing that the government is able to provide formal elementary education to all, such a qualification would lead to no real benefit for the Panchayats. 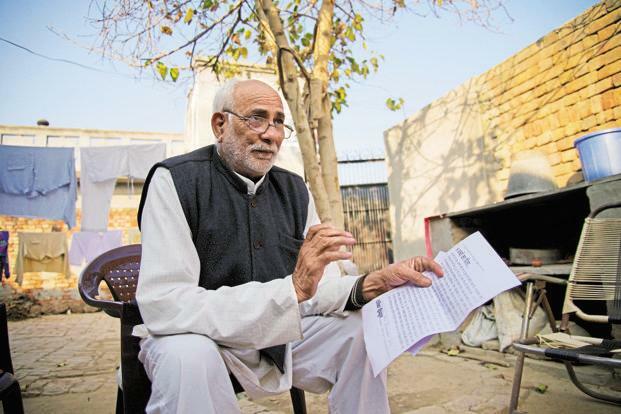 The Sarpanch, according to the Haryana Panchayati Raj Act, has to preside over the meetings of the Gram Sabha, has a general duty of financial and executive administrative, and has to supervise the Panchayati officials. All these functions require managerial and administrative skills. Formal Elementary Education only teaches people arithmetics and reading. These skills might help in management but are not necessary for management. Formal Education does not impart managerial skills and if the government wants professional managers then it must only allow MBAs to become Sarpanchs. There is absolutely no educational requirement to contest Lok Sabha Elections despite that the work done by MPs is far more significant and technical. Every Panchayat has a Panchayat secretary to do the administrative paper work and maintain the day to day activities. The Panchayat secretary is the person who does all the work that may involve educational knowledge. Just like a person need to be an economist to be the Finance Minister, as the secretaries deal with the technicalities, a sarpanch need not to be educated as the Panchayat Secretary is there to look after the technicalities. The scrapping of this policy in Rajasthan is a welcome step. However similar policy exists in Haryana as well. Also the fact that the Supreme Court did not quash a similar policy of the Haryana government in the case of Rajbala vs. State of Haryana, leaves a scope for other states to enact such laws. The Supreme Court needs to reconsider its judgment in the Rajbala case to ensure that no such laws are implemented in the future. To ensure that the democracy we cherish remains intact such measures need to be avoided. Vasujith Ram, Guest Post I: The Panchayati Raj Ordinance Case and Article 14 – A Codicil Indian Constitutional Law and Philosophy (2015), https://indconlawphil.wordpress.com/2015/01/17/guest-post-i-the-panchayati-raj-ordinance-case-and-article-14-a-codicil/). Gautam Bhatia, The Constitutional Challenge to Rajasthan’s Panchayati Raj Ordinance Indian Constitutional Law and Philosophy (2015), https://indconlawphil.wordpress.com/2015/01/05/the-constitutional-challenge-to-rajasthans-panchayati-raj-ordinance/. Right To Education, , http://righttoeducation.in/how-was-original-article-45-constitution-arrived. CADIndia, http://cadindia.clpr.org.in/constitution_assembly_debates/volume/7/1948-11-23?paragraph_number=93%2C90%2C88%2C187%2C105%2C104%2C102%2C100%2C97%2C95%2C91%2C89 (last visited Mar 18, 2019). CADIndia,https://cadindia.clpr.org.in/constitution_making_process/committee_stages_and_second_session_of_constituent_assembly_debates (last visited Mar 25, 2019). Elementary Education in India, (2015), http://dise.in/Downloads/Elementary-STRC-2015-16/Elementary-State_Report_Cards_2015-16.pdf. Bindu Duggal, Evaluation and Impact of RTE in Haryana, http://esaharyana.gov.in/Portals/0/evaluation-and-impact-of-rte-act-in-haryana.pdf. Annual Status of Education Report (Rural) 2018, (2018), http://img.asercentre.org/docs/ASER%202018/Release%20Material/aserreport2018.pdf. Ashoka Kumar Thakur vs. Union of India & Others, (2008) 6 SCC 1. Muhammad Nasir Mahmood and another vs.Federation of Pakistan, Supreme Couurt of Pakistan (2008), http://supremecourt.gov.pk/web/user_files/File/JUDGMENT_IN_GRADUATION_CASE.pdf. THE HARYANA PANCHAYATI RAJ ACT, 1994. PINJRA TOD-‘are the shackles put on for protection‘?